← Monday Question – Which Scent Would You Love To See As A Perfume? Vienna has a treasure trove of small boutiques. It is part of the culture here and I love it. Everywhere you walk I can almost guarantee that you will find one boutique or another which strikes your fancy. Val the Cookie Queen was in town last week and after meeting up with Birgit for breakfast she asked if I would like to go to this small perfume store in the 4th district. Now Vienna is a small city and I live in the center and oddly think that anything outside of the center is way out there. I tend to stick to my neighborhood and do my shopping near home. Don’t get me wrong I go to the other districts but it is usually to go to my son’s kindergarten, visit friends, visit the zoo, find a specialty store for some exotic spice or vegetable – but not perfume shopping. Val introduced me to Stattgarten in the 4th district on a street that has other eclectic shops. 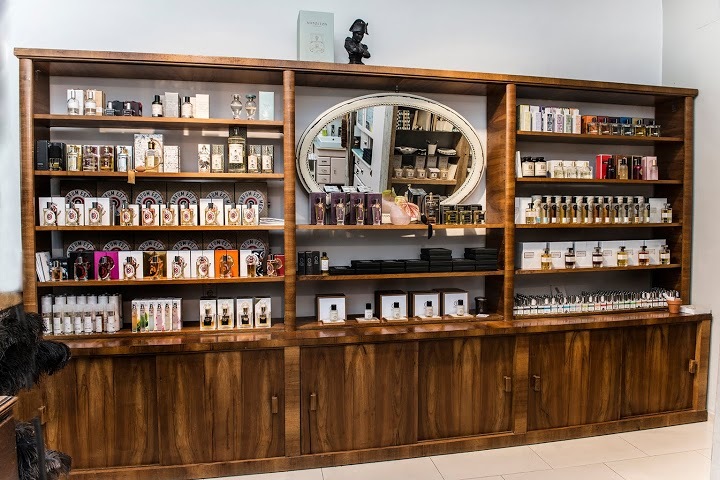 I was so surprised to walk into the store and find Etat Libre d’Orange, Neela Vermeire, Cire Trudon candles, Astier de Villatte incense and scented candles, Stop the Water While Using Me and so many more. Stattgarten is a treasure trove in Vienna which carries beauty products that are, as far as I can tell, not sold in other places in the city. 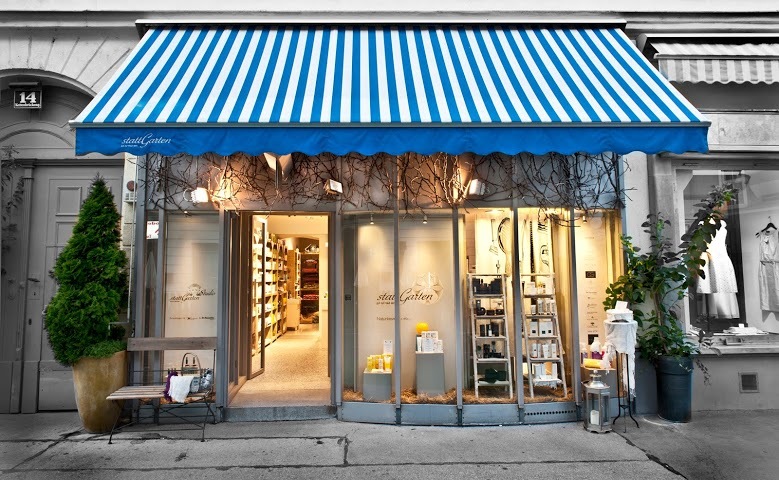 Not only do they have lovely products but the SAs were super friendly and knowledgeable and gave us our space when we needed it, but were also attentive enough to know when we wanted to ask a question. This is the first time I got to hold a Neela Vermeire bottle in my hand! Now those are gorgeous bottles and the perfumes are even more beautiful. The SAs lit some Astier de Villatte incense for us so we could smell it burning. They have a whole range of products which are accessible for various gift needs. I love it and will certainly be going back. If you are coming to Vienna please visit Stattgarten. You will not be disappointed. This entry was posted in By Sandra, Shopping and tagged Fragrance, Perfume, shopping, Stattgarten, Vienna. Bookmark the permalink. I hope there will be a next time Asali! I am sure you would love the shop. WOW!! Next time we are in Austria you MUST get us there. How fabulous! Aren’t those new Neela Vermeire bottles to die for? Knowledgeable SAs too. I’m in Sandra. Lovely post, Sandra. Any shop that carries Neela Vermeire must have good taste. Those are the most gorgeous bottles. Bet you had fun with Val. I’ll have to put this on the list for when I come and visit next year. Can’t wait! You are right Tara – they have excellent taste. Time spent with Birgit and Val is always special. I sincerely hope to meet you next year when you come to Vienna. Enjoyed seeing this boutique, Sandra. I also got a kick out of the name of one of the lines you mentioned (Stop the Water While Using Me). 😀 Will have to look that line up,. Suzanne, Val introduced me to the line and now I really want a bottle of their soap. Great name.